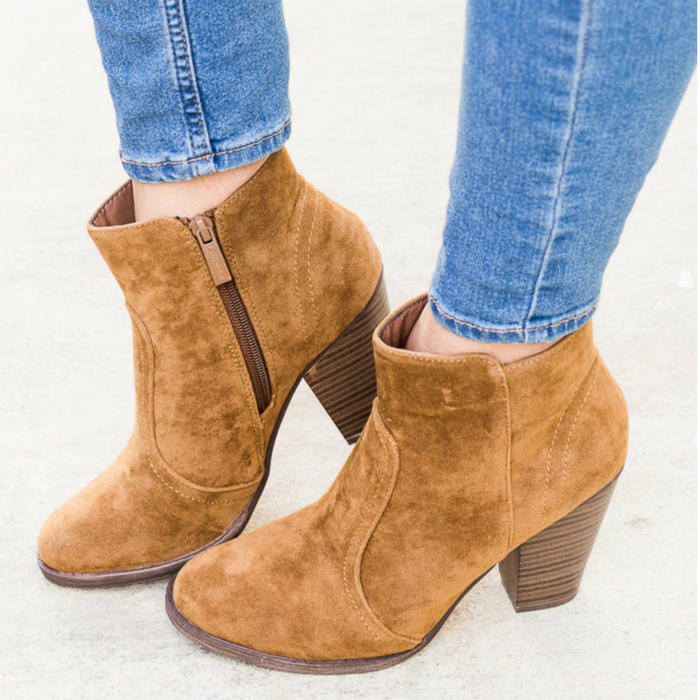 Fashion Booties Just $19.99! Down From $55! PLUS FREE Shipping! You are here: Home / Instagram / Fashion Booties Just $19.99! Down From $55! PLUS FREE Shipping! For a limited time only! Jane is currently offering these Fashion Booties for just $19.99 down from $54.99 PLUS FREE shipping! Grab a pair of these beautiful ankle booties! They are available in a bunch of gorgeous colors: black, gray, wine, tan, olive, brown, or beige. Pair these basics up with a bunch of different outfits. There’s a 3.5″ heel and an inner zipper for easy on-and-off wear. You will absolutely love these with skinny jeans and leggings. Shaft height is about 6″. Heel height is approximately 3.5″ inches. Colors may be slightly darker than picture depending on monitor settings.